Camping in Rocky Mountain National Park is a truly unique experience. Breathe in the fresh alpine air flavored with a hint of pine and, if you’re lucky, you may be joined by some friends…from the local elk herd that is. Sweeping views of the majestic rocky mountains and a night sky full of sparkling stars will be there to greet you from your tent flap. Each campground in the park sits at an elevation higher than 8,000 feet above sea level, providing a real mountain adventure! Usually camping at that elevation requires a hike in, but at Rocky Mountain, you can experience the high life with the convenience of car camping. Plan for brisk, cold nights and maybe a thunderstorm or two — as well as some of the best mountain scenery you can drive to. Season dates may vary by year. Be sure to check the website for information on opening and closing dates while you are planning your trip. If you want to make a reservation for the summer, be sure to do it early in the year. Campgrounds that accept reservations often fill many months in advance. Many of the first-come, first-served sites should be claimed first thing in the morning during summer months! Plan your trip so that you can get to the campsite early before it fills. Each standard campsite only accommodates eight people. If you have a larger group, you will need to book two campsites or look for a campground that offers double or group campsites. Rocky Mountain is bear country! Locate a nearby bear box to store your food and other scented items in, or place all scented items in a locked car. Be sure to educate yourself on proper food storage practices before you go. 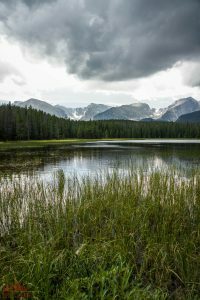 To prevent the spread of the mountain pine beetle, you should only purchase firewood from the campgrounds within Rocky Mountain National Park. The devastating effects of the beetle can especially be seen in the Timber Creek and Glacier Basin campgrounds, where many of the trees have been removed. 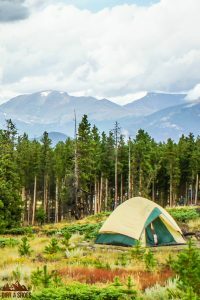 This article contains information on the frontcountry camping experiences that are available within Rocky Mountain National Park. In other words, it covers places you can get to with your car! 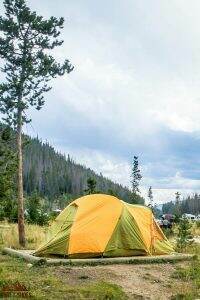 If you’re interested in hike-in backcountry camping options, click here. 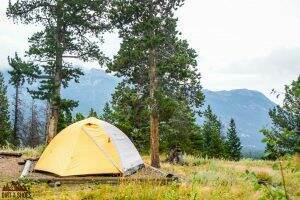 Rocky Mountain National Park has 5 campgrounds within its borders. Take a look at the park map for help in selecting the location of the perfect campground for your trip. Most campgrounds in the park accept reservations. If you’re hoping to reserve something, click over to Recreation.gov to find a site. Reservations open up six months in advance of the first day of your reservation. You’ll want to sign in and pick out your site in advance so that you can be ready to hit reserve as soon as the clock strikes 10 a.m. EST. Some campgrounds in the park are first-come, first-served and fill by early afternoon. If the registration kiosk is not staffed when you arrive, grab an envelope and then proceed into the campground to find an available site. The sites that are available will not have a tag on the post, and you’ll want to choose one of those. If you see an empty campsite that still has a paper stub on the post, it likely is still paid for and occupied by someone else…so don’t set up there! After finding a suitable site, immediately fill out the envelope and insert payment, put the stub on the post for your site, and drop the envelope in the slot at the registration kiosk. 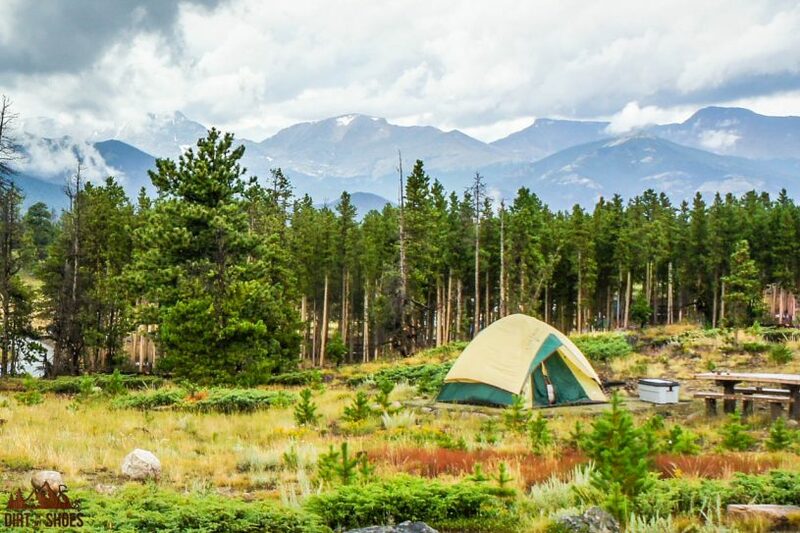 Moraine Park is the largest campground in Rocky Mountain and is centrally located for easy access to the Trail Ridge Road and the Bear Lake Road. Many of the sites provide beautiful mountain views, and most are located in the trees. Generators: Allowed except in Loop D. Generator hours are 7:30 to 10:00 a.m. and 4:00 to 8:30 p.m.
Reservations Required: Yes from May to September. Click here to check availability. The Glacier Basin Campground has sweeping views of the rocky mountains and is located on the Bear Lake Road, which is the hub of activity in the park. Many of the trees have been removed because of the mountain pine beetle infestation. Loops A and B are still partially shaded, but loops C, D, and the group sites are all out in the open. Reservations Required: Yes for Loops A, B, and D. Click here to check availability. Loop C is first-come, first-served. The Aspenglen Campground is ideally situated in a stunning pine forest next to the beautiful Fall River. 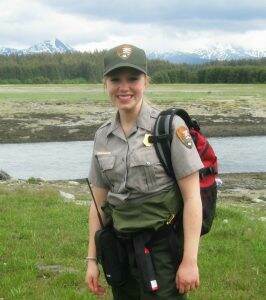 This is a great area for wildlife viewing and is within walking distance of the Fall River Visitor Center. 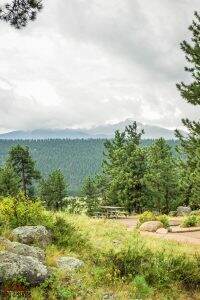 The Timber Creek Campground is the only place to camp on Rocky Mountain’s west side. It is situated along the Colorado River but unfortunately does not have any shade due to the mountain pine beetle outbreak. 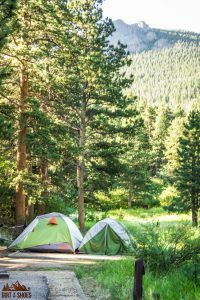 Located in a gorgeous pine forest, the Longs Peak Campground makes a great base camp if you are planning on hiking to the top of Longs Peak. Otherwise, it is a little out-of-the-way if you are planning on sticking to most of the main Rocky Mountain sites. This campground is for tents only and is more primitive, private, and peaceful than the other campgrounds in the park. 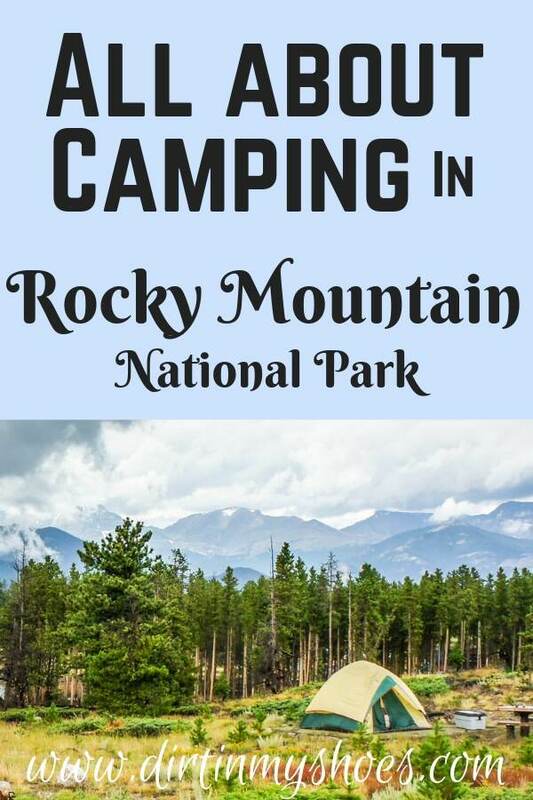 Now that you’ve seen your options for camping in Rocky Mountain, are you ready to make sure you don’t miss any of the best sights in the park? Click NEXT to see the 12 things you can’t miss on your first visit! Hi, I was perusing recreation.gov a couple of weeks before I need to make a reservation for August 4-9. It looks like 6am is when the reservation needs to be completed. I am pacific time. All the sites at aspenglen were taken by 6:10. Do you have any tips to actually score a site let alone two(which is my hope). If I select one and then go back for another might I actually lose the first one? Any tips would help. This is our first time camping. My mom is 80 years old. Is it possible to perhaps get her a handicapped if the others are not available. You’ll need to have everything completely ready to hit the submit button right when the clock strikes 6 🙂 And if you’re trying to get 2 sites, you’ll have the best luck if you can get someone else who is going with you to make an account and try to book the second site at the same time. Good luck!